TEF’s 5 year working relationship with Boys & Girls Clubs of San Francisco is one of longest client collaborations in the firm’s 15 year history. Boys & Girls Club is a national after-school program designed mostly, though not exclusively, for disadvantaged kids. Essentially they provide a nurturing, supportive and safe after-school environment for kids who need it. TEF has designed most of their recently built facilities, both in San Francisco, and in Camp Mendo, a summer camp the Club operates in Mendocino County. We are currently completing design documents for the newest BGCSF Clubhouse located at Fulton and Gough. 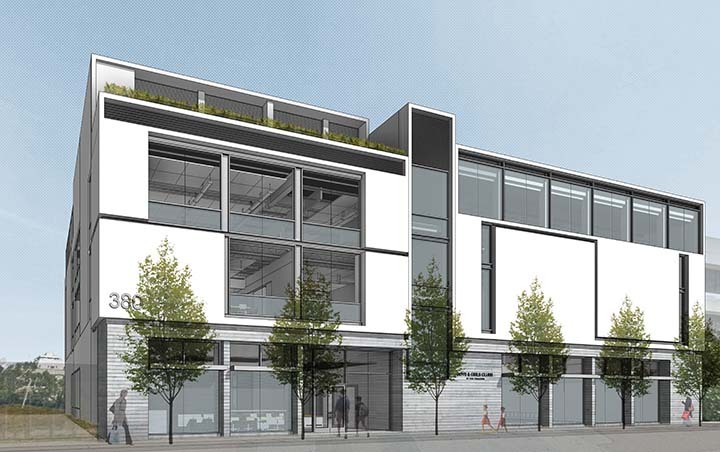 The quarter-block site is a vacant Caltrans freeway lot, part of Market and Octavia Plan. The Club purchased the site from the City of San Francisco in 2012. The purchase agreement stipulated that part of the site be developed as multi-family housing. We are designing the Clubhouse, and David Baker + Partners is designing the housing. It’s the kind of project we like in the office. It’s small, it’s complex, it’s urban; it has a strong social aspect. Construction funds are limited, and client aspirations are high. For these very reasons, it would also make a fabulous design project in a school setting. So I made it one. Last year, I was invited to The University of Texas at Austin’s School of Architecture (SOA) to participate in their winter reviews, which mark the culmination of a semester’s worth of work by the school’s students. 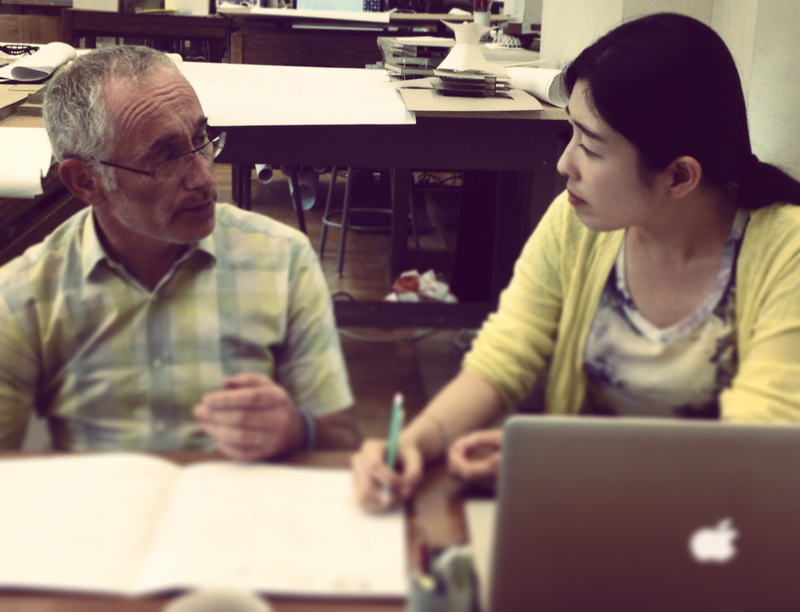 The school invites professionals and academics to come to Austin for several days twice a year to review student work and to offer criticism and encouragement. I loved being there. I was impressed by the quality, the commitment, and the variety of student work, as well as by the excellent criticism SOA offered the students. It made me think about things you don’t often think about in the business environment, a greater purpose so to speak, the “why”, as well as the “how”. 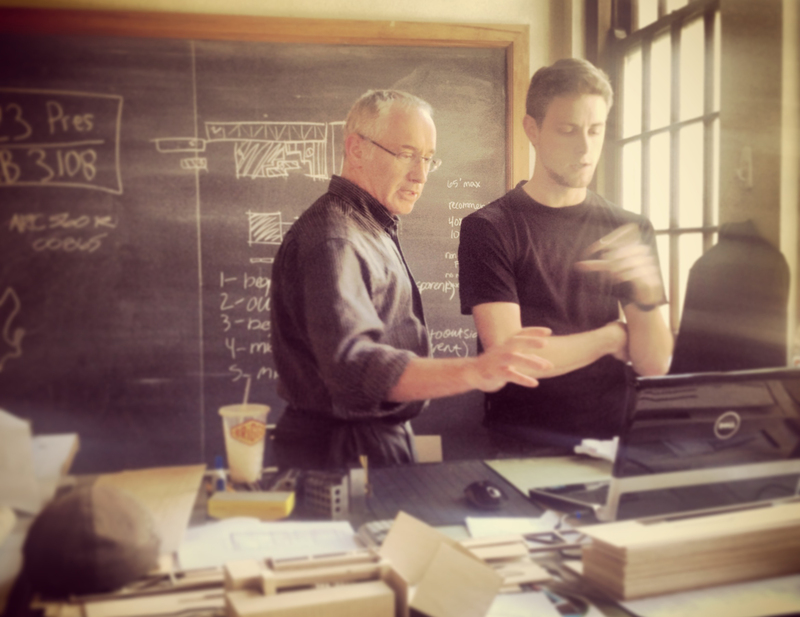 This spring I was invited to teach a studio at SOA. I’m not an academic. I enjoyed my time at graduate school and I often go to reviews at Bay Area schools and keep up with what’s going on in the field, but my career path took me distinctly into the practice of architecture, and I don’t teach studio on a regular basis. Turns out SOA likes that and regularly seeks out active practitioners to teach studios. It’s part of their mission to connect students to practice and practitioners to academia. So I spent the spring flying to Texas every two weeks, arriving on Tuesday night and flying out on Friday night or Saturday. I taught an advanced studio with eight students, four graduate and four final-year undergraduates. Our project for the semester: Boys & Girls Club’s new San Francisco Clubhouse. The studio has a title: “That’s Why They Call It Practice”. It’s meant to evoke two ideas: we are here to make mistakes and to learn from them; and, we err on the side of solving real problems, not imaginary ones we often create ourselves through inadequate understanding. Colleagues who spent a lifetime in architectural education advised me that it’s important to keep students from drawing a building too soon. People fall in love with what they do, and it’s critical to encourage that (passion makes the world go around), but it’s very hard for inexperienced designers to leave their early ideas behind. The same is true in practice. You want to explore freely, for as long as possible. Only then do you truly serve your clients’ needs. So, we started by looking at the site, it’s history, the socioeconomic and cultural environment that defines San Francisco and Hayes Valley, Boys & Girls Clubs, and clubhouse precedents. Since visiting San Francisco was not part of the program, we spent a couple of weeks studying the City. This was a truly collaborative group project. The work was presented in map form as a series of overlays that build on each other. It’s a great way to truly understand site conditions. The students did a slideshow of geometry, geography, socioeconomic factors, history, freeway construction – I learned a lot from looking at my own city through others’ eyes. From there, we visited a Boys & Girls Clubhouse in Austin, developed a site master plan to use the rest of the semester, and did a sketch exercise to design a large room that served as one of the main program components – the gym. At this point, getting into architecture was unavoidable and the studio dove into the building problem with gusto. For mid-term reviews I invited colleagues from the school that seemed to share my passion for the practice. The jury truly understood the design problem, had great comments, and didn’t pull any punches. I may have been more nervous than the students. We survived the barrage of constructive criticism together and emerged ready and energized to spend the last 8 weeks of the semester pulling together comprehensive proposals. The final review in May was fascinating! So why do this? What am I getting out of this experience? What does my office, which made it possible for me to do this, get in return? For one, it makes me think about why I got into this business to begin with. Working to elicit the “why” behind a student design approach tends to clarify my own design philosophy and serves to reinforce design convictions that are shaped by years of practice, but clearly benefit from occasional re-examination. I come away more aware of what other people are doing. I go to reviews and see what others are thinking – other teachers, other students. This experience provides constant food for thought and will inevitably inform my project work back at the office. Teaching puts things in perspective. There are those daily nuggets we all come across in our lives – that memorable radio show you hear on a bike ride, that striking Op-Ed piece that you read on Muni, that ad you see on a bus shelter, those snippets of conversation you overhear on a construction site or in a design studio. They no longer seem like random, unconnected bits offered by a chaotic world, but become small yet meaningful keys to the overall puzzle. Teaching is, in some small way, like child-rearing. It gives the rest of your life shape and a sense of purpose. I hope to get to do more of it. Teaching, that is. My three kids won’t let me let up on my child-rearing commitments anyway – I’m quite certain of THAT. Beyond that, some people in Austin, Texas, now know about Tom Eliot Fisch – what we do and how we practice. I don’t know how useful that is or will be, but who knows? It’s one way to spread the word. Austin is a lovely place. What General Sheridan said about Texas does not apply here. 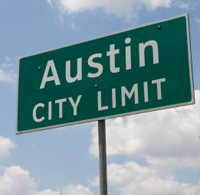 My next post here will be about the city of Austin. Personally, I agree with General Sheridan, though I suspect Austin was not quite the same back then as it is now. Austin is probably a diamond (or zirconium) in the rough. Growing up in San Francisco, I used to say I would never go south of Carmel. But things change. Great work, Alyosha. Love the proposal and the work with the SOA. And kudos for TEF for supporting you on that endeavor. We grizzled, gray hair types occasionally get to validate the paths we chose way back when.